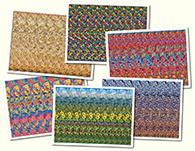 Custom work for Chelyabinsk : Stereogram Images, Games, Video and Software. All Free! 1. 3Dimka is it supposed to pop out or go into the screen? Send me an e-mail if you find the time to reply. ÃÃÃÃÃÃÃ. This is Chelyabinsk a city in Rusia and the camel with the wall is the symbol of their flag. br The man tries to give us something. br Very good stereogram. 9. yes a man giving us a bag and is holding a camel right side there is also a tree or something to left of the man. 10. 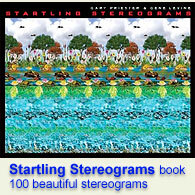 MY EMAIL ID IS - i want custom stereograms. 25 nos. can you made this for me? and what is the cost for this? 18. Wow I m usually VERY good at stereograms and this one was very difficult to get the hang of. Also I love the way the hidden code is presented as an alternative to a captcha. 22. I want more cross-eyed stereograms please!